The EUR/USD currency pair keeps trying to grow. At the moment the pair is moving as a rising channel. We can consider buying the pair with the target in the area of 1.3250, and opening long positions near the channel’s lower border. 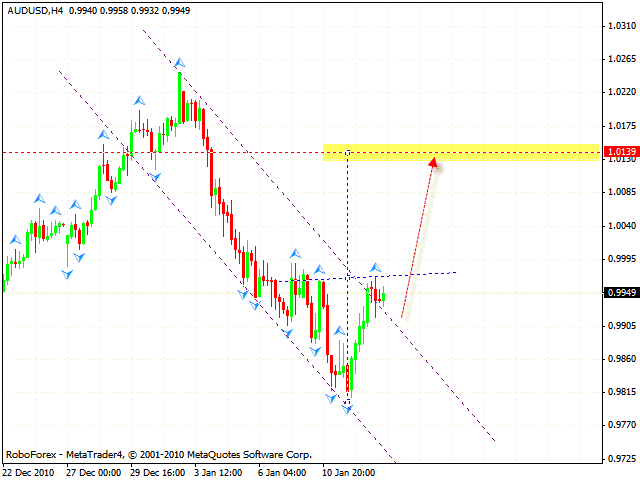 Pound is also moving upwards inside the channel. One can try to buy the GBP/USD currency pair when the price tests either the trend’s rising line at the RSI, or the lower border of the rising channel. The target of the growth is the area of 1.5906. 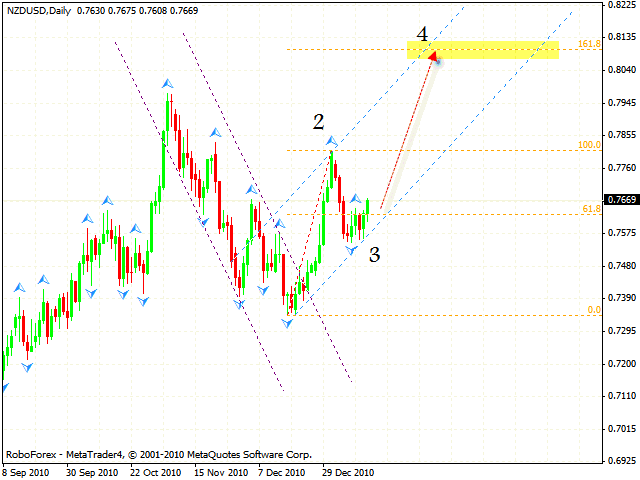 New Zealand Dollar seems to be forming a new wave of the rising trend. 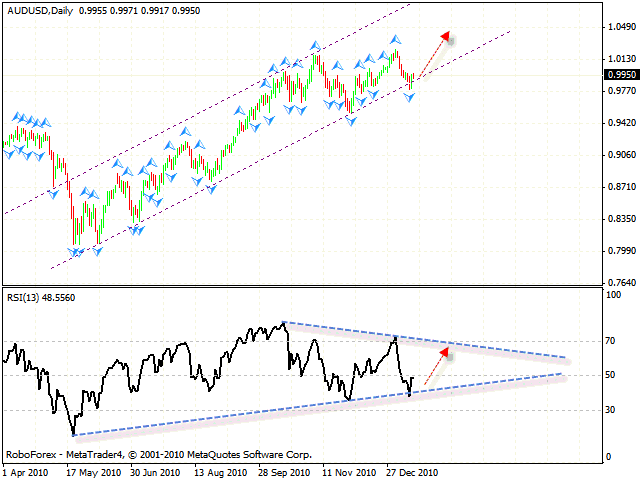 The target of the growth is the area of 0.8100, and it’s not the final target of the rising pattern. One should consider buying New Zealand Dollar after the correction. Australian Dollar has also started moving up. 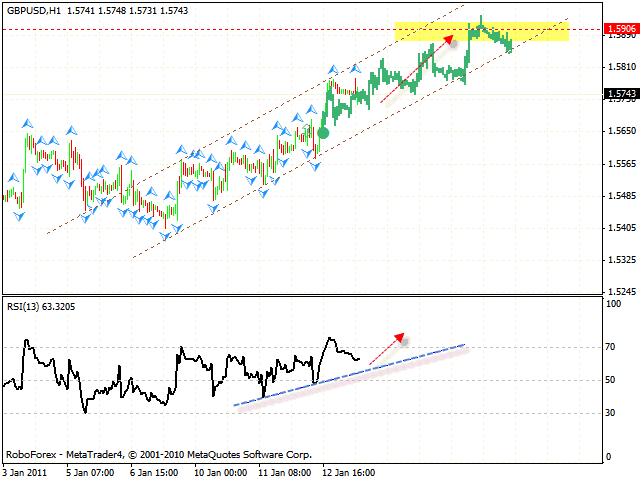 The RSI was supported by the trend’s rising line, the price tested the channel’s lower border. We should expect the rising trend to continue. However, one should try to buy the pair at shorter periods of time. 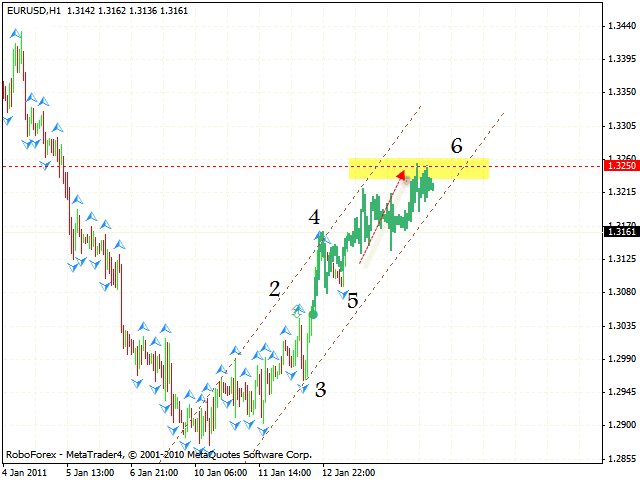 At the H4 chart there is a potential for “head & shoulders” reversal pattern to be formed with the target in the area of 1.0140. We can try to buy the pair when the price moves down to the level of 0.9890. One shouldn’t increase the amount of purchases until the neckline is broken.